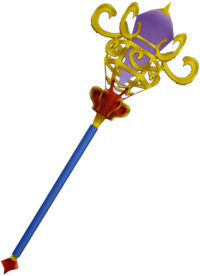 Not just referring to the Ultima keyblades, but also Save the Queen and Save the King. 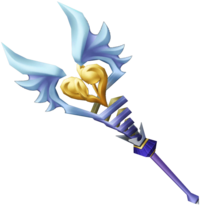 Design-wise, which weapons do you prefer, between KH1's and KH2's? Super excited for KH3's weapon designs, regarding keyblades, staves and shields! All of the designs are awesome, though KH1's Save the King is probably the least interesting of the batch, I suppose. If I had to choose though, out of all of them, I'd pick KH2's Save the King. It looks elegant, lavish, yet powerful. Heck, "elegant" is a consistent key word for all the designs. Second favorite is probably KH1's Save the Queen. The Ultima Weapons shown in your post are KH1 & BBS, not KH1 & KH2. 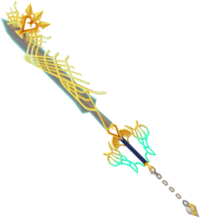 That being said, for the Keyblades: KH2. More visual balance. Asymmetry is fine, but visual design has "weight" to it and it's a bit off for the KH1 design. Save the Queen/King are both better in KH2, but I don't care for any of their designs. They don't have the delicateness or intricacy of the keyblades. My favorite has always been KH1's Ultima. I just love it's original design over the variations. 1 for nostalgia reasons. It was such a big deal for me to finally make it. I remember replaying the Ansem fight so I could see it in a cutscene . 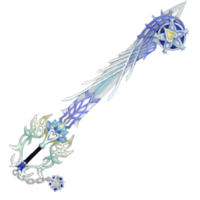 Now the Ultima is a chore and feels like another Keyblade.